The Inn offers all the refinement and charm one would expect from a small luxury hotel. Individually decorated bedrooms, spacious private bathrooms, and elegant, tastefully furnished suites and parlours invite you to relax. Proud to be Celebrating and Serving Fine Food and Spirits to travelers and guests for 250 YEARS.Built nineteen years before the Declaration of Independence, The Fairfield Inn was originally the Mansion House of Squire Miller, an original founder of the town. In the 250 years that have passed, the Mansion House has hosted many famous Americans such as Patrick Henry, nephew of Squire William and Isabella Henry Miller, Thaddeus Stevens, Generals Robert E. Lee and J.E.B. Stuart, Baseball Hall of Famer Eddie Plank and The Eisenhowers.When the Battle of Gettysburg was over, the Confederate Army retreated West through Fairfield. General Robert E. Lee and his officers stopped to eat at the Inn. After touring the Battlefield, we invite you to retreat to our style of history and hospitality. Unwind in one of our luxurious suites or guest rooms. Sip hot spiced cider by one of our eight fireplaces or have a drink in Squire Millers Tavern. Enjoy seasonal specialties on our front porch or dine in the original Mansion House. From our famous Chicken and Biscuits to our Chefs signature dishes featuring the finest hand cut steaks and fresh seafood, taste why over four centuries of fine service and culinary expertise make dining at The Fairfield Inn a deliciously unique experience. Check-in is at 2 00 PM. Guests planning to arrive before or after this time must contact the property at least 48 hours prior to arrival to receive special check-in instructions. 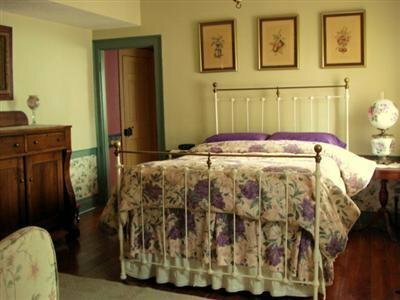 As a bed and breakfast property, the Front Desk hours will vary guests should contact the property to find out more information. To contact the property, use the number on the reservation confirmation received after booking.